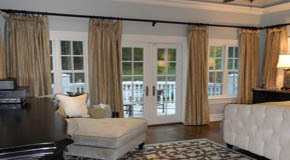 Custom window treatments transform a room from ordinary to extraordinary. 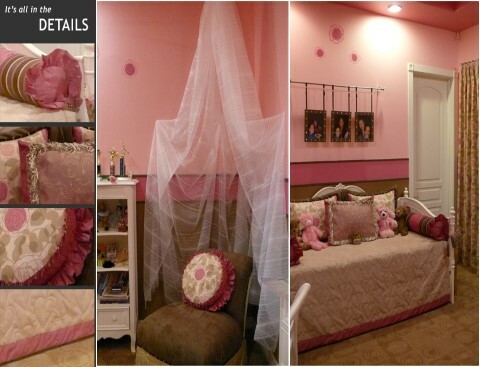 Our services range from draperies, valances, swags, shades, cornices, blinds and shades. 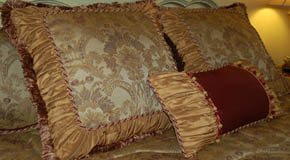 Designers Workroom specializes in creating custom bedding treatments that are sure to capture your unique design. Our services range from bed skirts, bedspreads, comforters, coverlets, crib bedding, pillow shams and duvets. Whether you are a new designer or existing client, we will work with you to fulfill your design inspiration. Our bedding and windows treatment specialists are available to help you with every aspect of the design and workroom process. We are always available to discuss plans, projects or ideas that you may have. Turning your visions to reality is what makes us great and being available to work with you sets us apart. 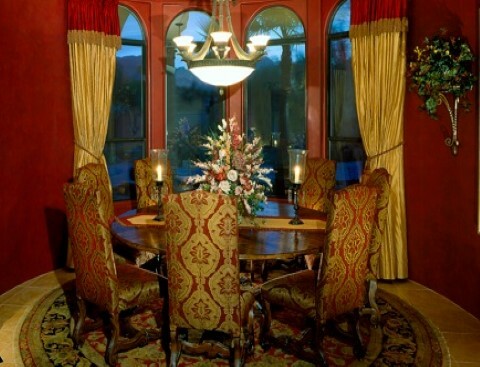 Designer's Workroom was started in 1981 by Ken Hurd and has since been under family management. Lisa is the current owner and has 25 years of experience working with Designers on all facets of window coverings and bedding treatments. We have over 30 years of experience, working with some of the top interior designers and decorators in the industry, and we love to collaborate on custom drapery projects. 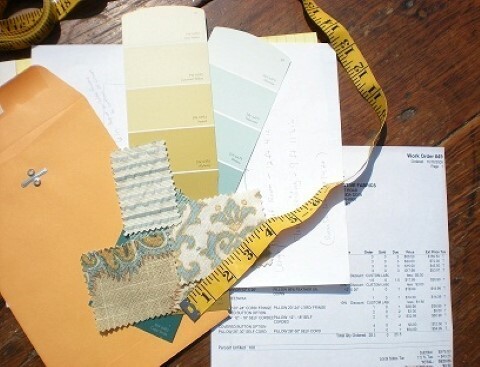 Our goal, with every client, on every drapery order, is to create a flawless project, from start to finish. Finding a workroom to handle your design needs has never been this easy. We understand that quality and consistency is important to our clients and we strive to deliver a product that they are proud to showcase. Having experience is crucial when transforming your design visions into reality. Our years of experience will are valuable for any size project and ensure you are happy with the final product. Work with the friendliest staff that is committed to your success as a designer. 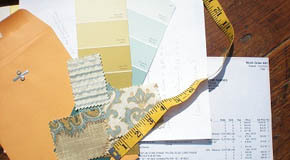 We are not your typical workroom; We pride ourselfs on our ability to successfully execute your unique vision of design.